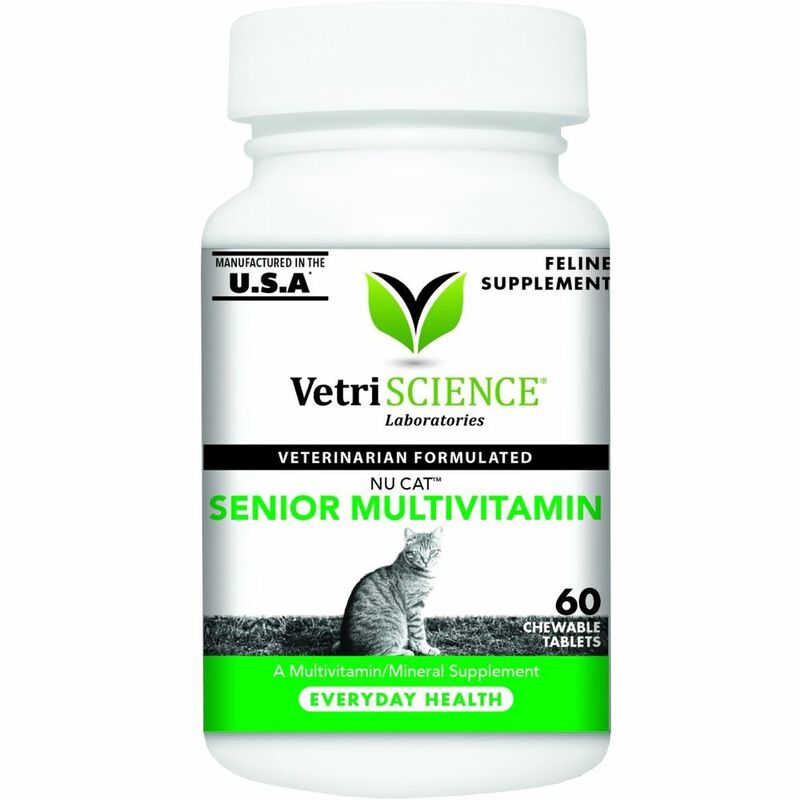 Nu Cat™ Senior Multivitamin is specifically formulated for geriatric cats. 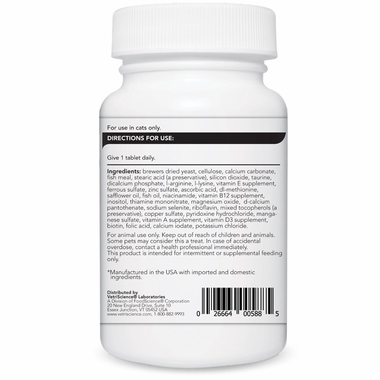 It is a comprehensive formula that supports cardiovascular, liver, cognitive, eye, joint, and digestive functions. As our cats age, they may need additional nutritional support. 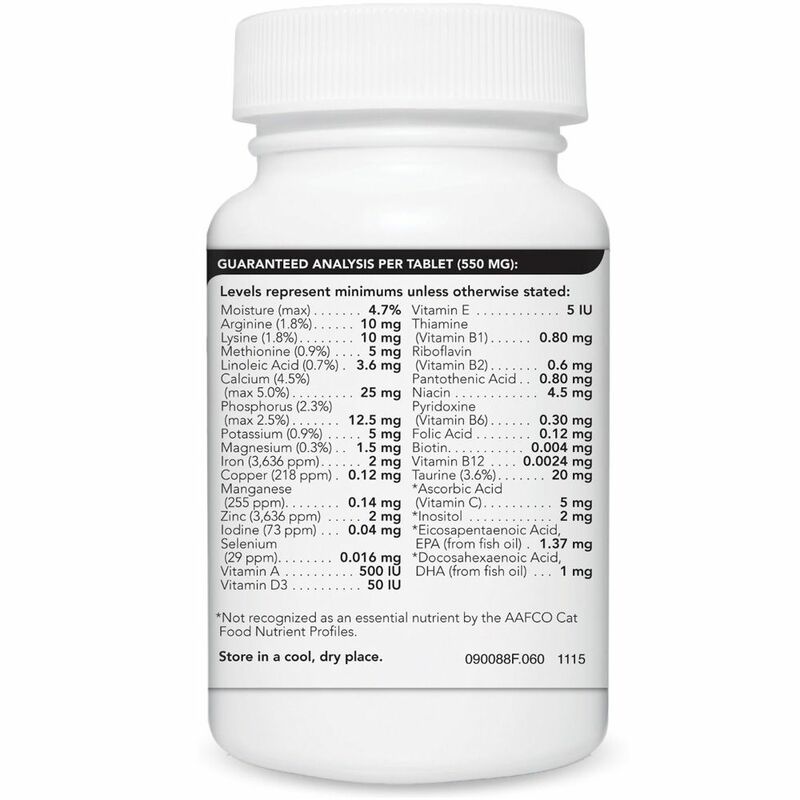 Nu Cat™ Senior Multivitamin provide these beneficial nutrients in an easy to feed, fish-flavor tablet. 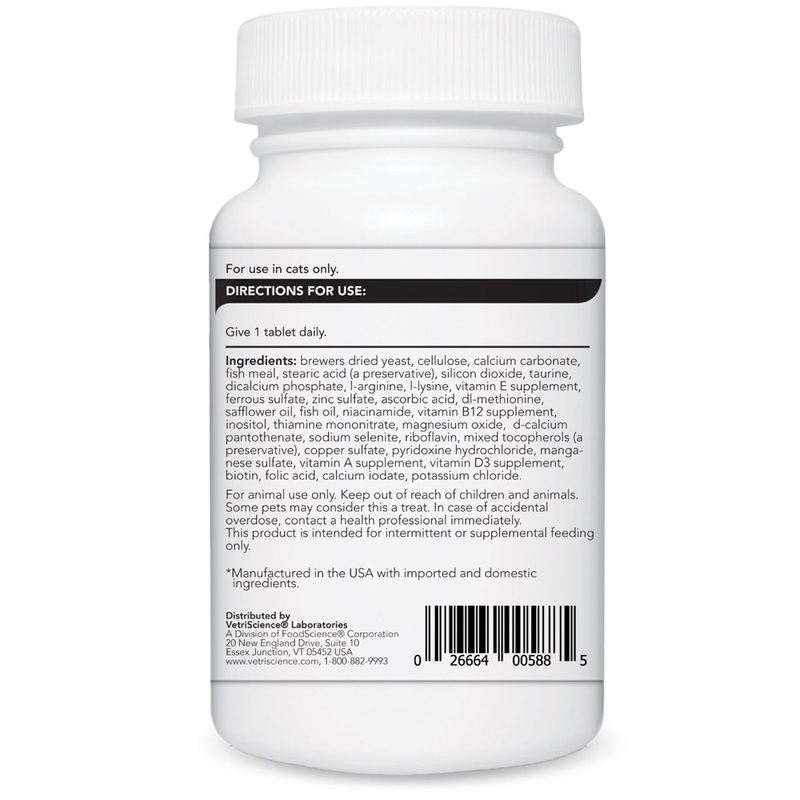 Antioxidants (A, E and selenium) to fight free radical damage and support the immune system. 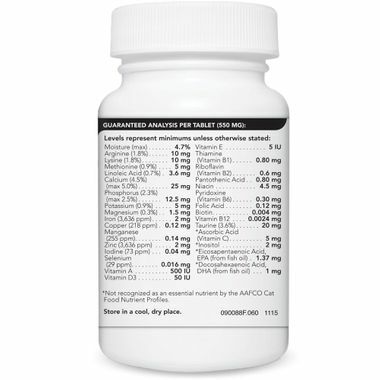 A complete and balanced stress B complex to support mood and memory. Omega fatty acids to support healthy skin and coat, and normal brain function. Taurine, L-Lysine and other amino acids–critical to feline health.